Not much time has passed since we saw the launch of the 2015 Tata Safari Storme in June this year, which came with an upgraded style, interiors and powertrain. 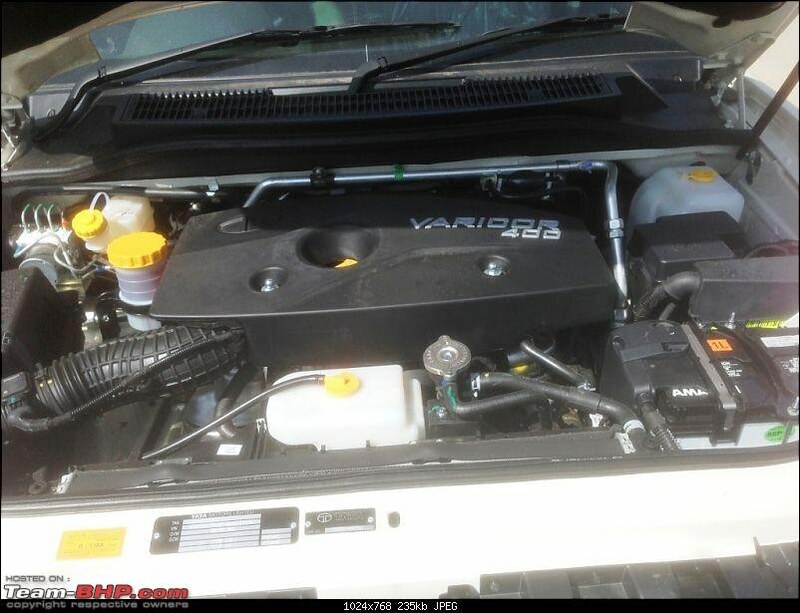 Now, all over again sources from the Team-BHP reveal that the company could launch another version of the Safari Storme featuring a more powerful engine soon and as an additional variant to the current Storme lineup. 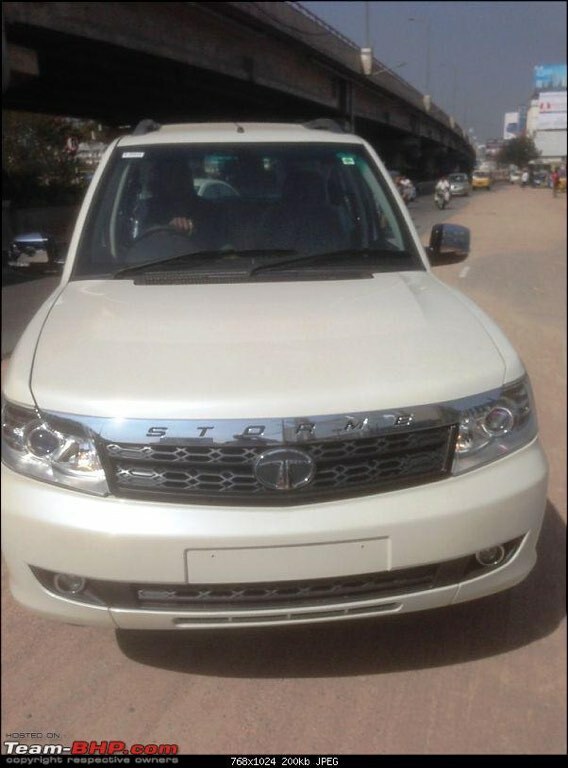 The recently launched Safari Storme received few design changes and a few additional features like Harman audio system with USB, AUX-in and Bluetooth connectivity, reverse parking sensor system, steering wheel with multifunction buttons and company's new signature, and a center armrest for rear passengers. Apart from all the design and feature changes, its engine was also modified to produce 150 PS of maximum power returning a torque of 320 Nm. The spied Tata Safari Storme has VARICOR 400 badging that suggests it will be powered by 2.2-litre engine featured on the Tata Hexa concept at the 2015 Geneva Motor Show and is capable of producing 155 PS of power and 400 Nm of torque. The reports also suggest that the engine in Tata Hexa SUV can be mated with choices of either a six-speed manual gearbox and a GM-sourced six-speed automatic transmission while on the Safari Storme, the engine could be offered only with a six-speed manual transmission.